From new builds to garages to extensions – slate roofs add that touch of quality to any building project. Slate roofs give a building a sturdy, quality appearance and can make a building more architecturally harmonious than a flat roof, for example. 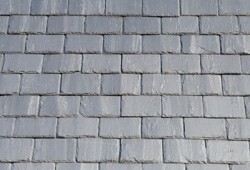 If you’re in the Nottingham area and you in need of a slate roof fitting, then do get in touch. You can reach us on 0115 815 7004. Slate roofs – what do we have to offer? We’re proud to say we’ve been delivering high quality slate roofs for customers in Nottingham since 2001. Our track record contains many delighted clients who have enjoyed our customer-focused outlook. Installation of your slate roof – as with all our jobs – will starts with a completely free quote, with no hidden tie-ins or obligations on your part. Drop us a line if you need any advice or you’d like us to get on with the job right away!